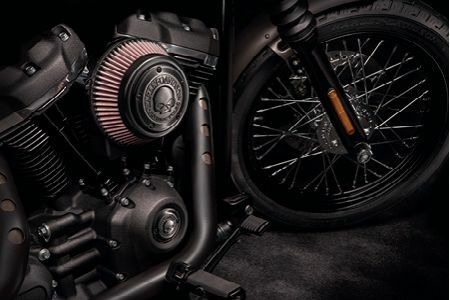 Harley-Davidson limited opportunity to purchase new accessories and have them installed at an authorized Harley-Davidson dealership and receive the Custom Coverage extended Limited Warranty rather than the standard 90-day Parts and Accessories post purchase over-the-counter warranty. Limited warranty for eligible street legal Harley-Davidson® Genuine Motor Parts & Genuine Motor Accessories to run concurrent with the remainder of the motorcycle’s 24-month manufacturer’s warranty. Parts and accessories must be purchased and installed at an authorized Harley-Davidson dealership within 60 days of the vehicle purchase to qualify for the Custom Coverage.™ Visit an authorized Harley-Davidson dealership as often as you like during the 60 days after purchase to select, purchase and install accessories. Offer applies to all new, previously untitled Harley-Davidson motorcycles. Customers have 60 days after the motorcycle purchase to participate in the Custom Coverage extended Limited Warranty offer. Parts and accessories must be purchased and installed at an authorized Harley-Davidson dealership. Parts and accessories purchased via the internet are not eligible. To locate the authorized Harley-Davidson dealership nearest you, visit the Dealer Locator on www.harley-davidson.com.